Web developers, photographers, writers, and more are scrapping their nine to fives and exploring the world whilst working. 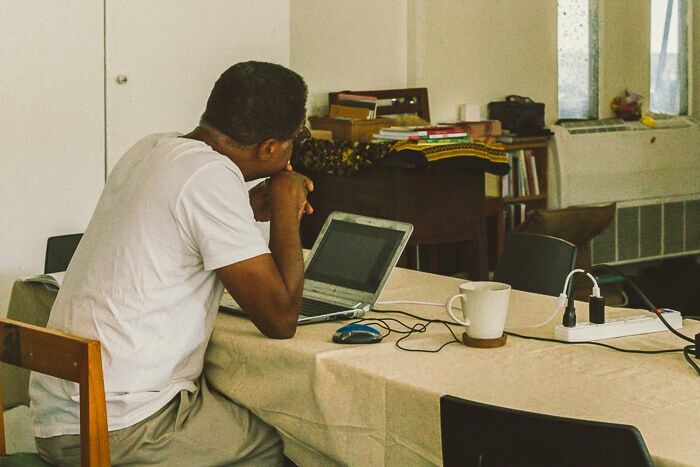 These globetrotters are otherwise known as digital nomads. Luckily for these types of travelers visiting Thailand, Chiang Mai is a haven for nomadic workers. 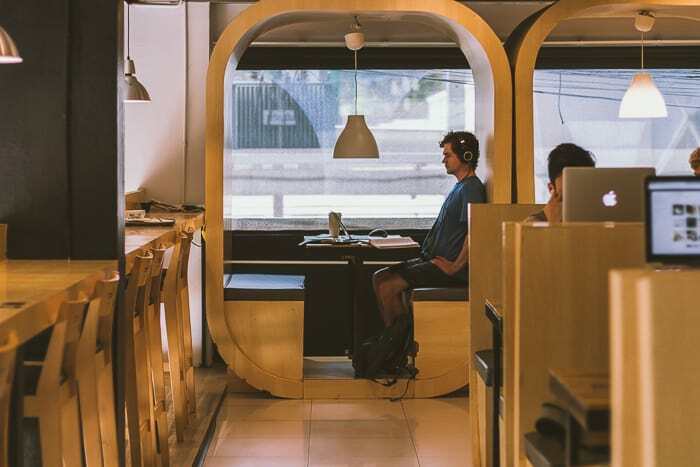 Not only is the northern Thai city teeming with cool coffee shops and cafes, but there are also plenty of coworking spaces in Chiang Mai that are perfect for the traveling worker. 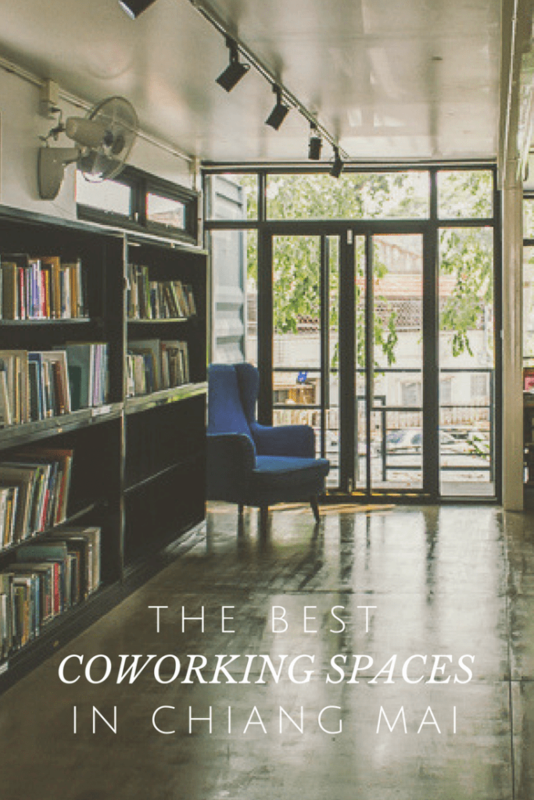 Here, a comprehensive list of the best coworking spaces in Chiang Mai. 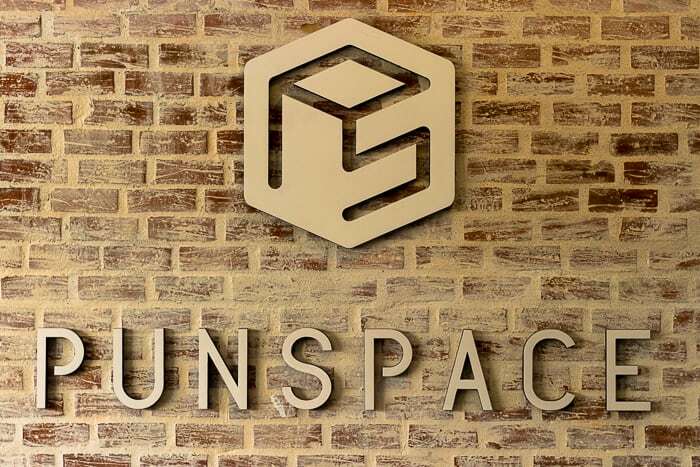 Punspace has not one but three locations in Chiang Mai: one in the trendy area of Nimman, one near the historic Tha Phae Gate, and the last one in Wiang Kaew, found in the Old City. 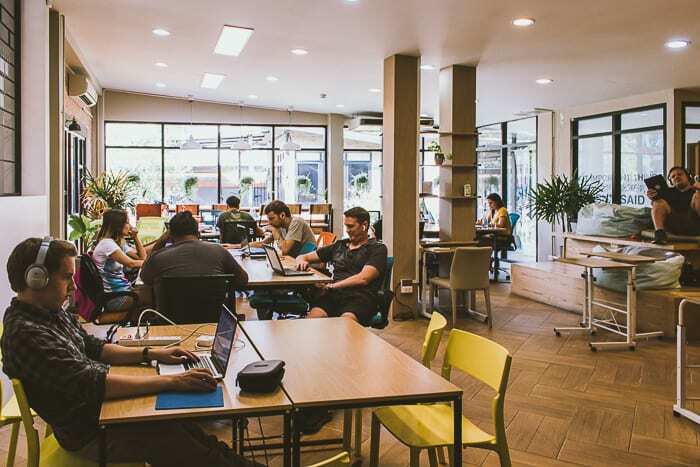 Luckily for night owls, Punspace is one coworking space in Chiang Mai that is open 24 hours a day and seven days a week but only for members. Amenities include hot seats, Skype rooms, a pantry, printer, scanner, copier, meeting rooms equipped with a projector and webcam, and so much more. The Wi-Fi here is also speedy fast, and there are plenty of comfortable chairs, so get ready to settle in and actually get some work done. If you are wanting a more intimate space, check out their private offices. There are even lockers at Punspace should you want to pop out for a quick bowl of khao soi before getting back to work and be rest-assured that your belongings will remain safe. You will meet a wide variety of digital nomads here, including startup entrepreneurs, website developers, graphic designers, photographers, writers, and more, making it an ideal spot to network, as well. 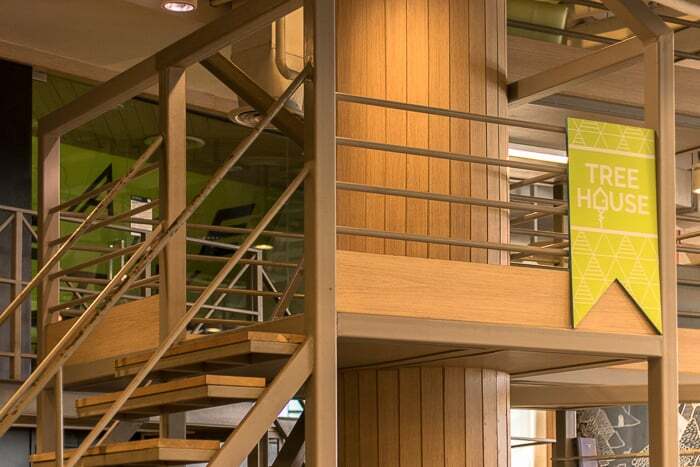 As a socially responsible hostel, we simply cannot get enough of ISDSI, one of the most eco-friendly of coworking spaces. This coworking space was designed with sustainability in mind all the while keeping an incredibly cool aesthetic. For one, all of the light fixtures are LED ones. The doors and walls of the building were made with recycled and offcut steel, as well. ISDSI stands for International Sustainable Development Studies Institute. It is essentially a study abroad program, and the team that works for them is based here, but digital nomads are also welcome. 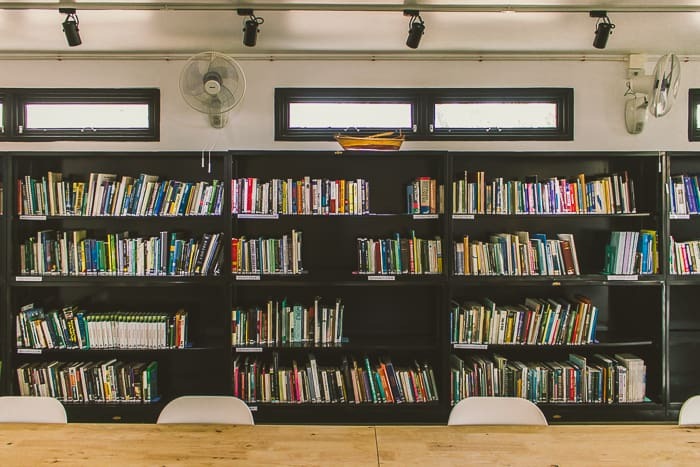 The coworking space is incredibly unique in that it is actually made up of 17 shipping containers and is equipped with a library, classrooms, conference rooms, and more. 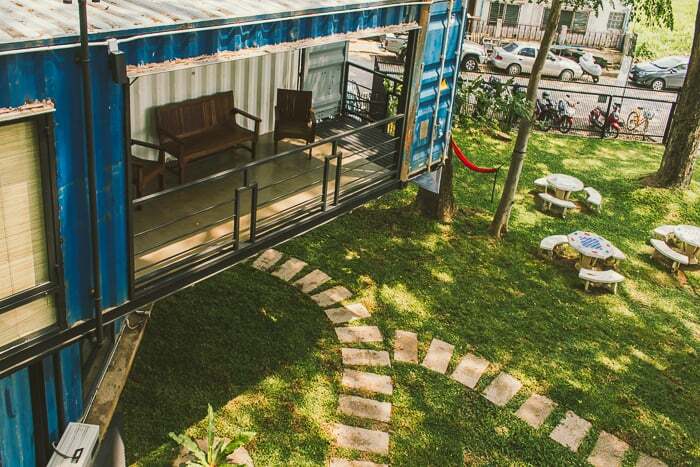 The open office concept makes working as a group a breeze, and because the spaces are broken up by the containers, you will not bother your fellow digital nomads or working students by talking. The open-concept common area flows out into a large green space where you will also find a cafe. This coffee shop doubles as a social enterprise, as it sources its beans from hill-tribes in the mountains. 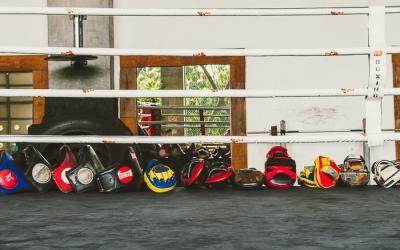 CrossFit Chiang Mai sits just adjacent the coffee shop and working space, as well, should you want to get in a quick workout after sitting at your laptop all afternoon! Wake Up is a coffee shop and coworking space duo, which is convenient considering it is open 24-hours a day and some caffeine will certainly be needed for those of you who actually utilize these hours. This franchise has locations across Thailand but imports coffee beans all the way from Brazil, Indonesia, and Columbia. Green tea is also imported from Japan, and visitors to this coworking space can work all the while enjoying the smell of all these drinks being made. It has been around since 2014 and has been impressing visitors to the country ever since. You can order food here, as well, should you work up an appetite whilst working away online! 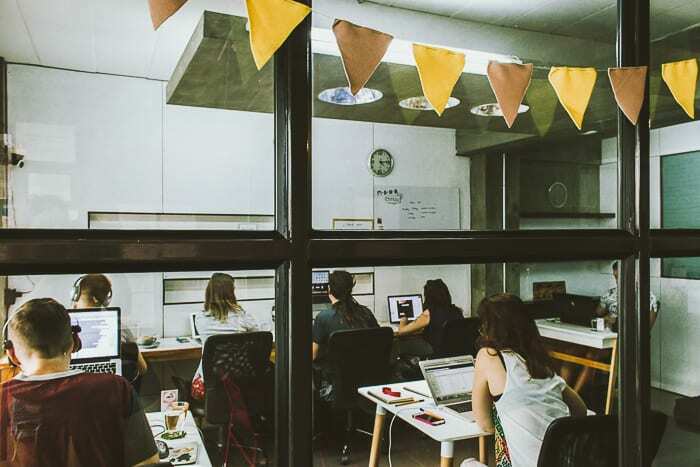 The bigger the coworking space the better, at least when it comes to Camp found on the fifth floor of Maya Mall. This creative and meeting space is sponsored by AIS, one of the best internet providers in the country, so you know the Wi-Fi is going to be speedy fast. The coworking space opens up to the interior of the mall with large, floor to ceiling glass windows and is arguably the most aesthetically pleasing of coworking spaces in the city. 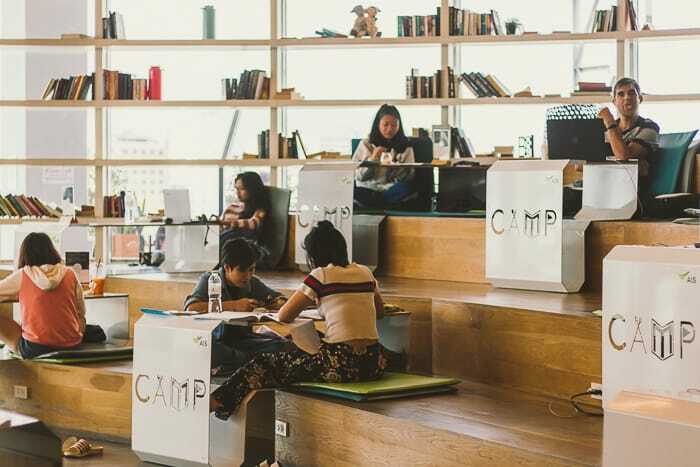 Camp is a triple threat in that it is a library, coworking space, and coffee shop, making it the perfect spot to ignite your inner creativity. Get loads of work done at any one of the ample number of desks. The light wooden seating arrangements makes the interior simply shine all the while making the space feel natural and organic. 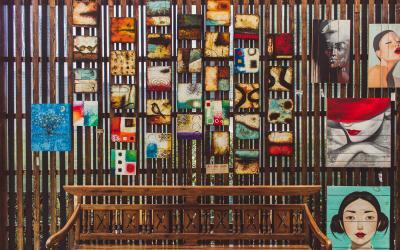 In stark contrast, the ceiling is adorned with ultra modern light fixtures and cool works of wooden art. If you are not feeling the comfortable green chairs, instead pull up a floor cushion and sit on the wooden steps that slope up against the side of the space. While we highly suggest finding a happy balance between work and play, Addicted to Work is the perfect coworking space to get all of your work out of the way before enjoying a night out in Chiang Mai. Amenities here include speedy fast internet, caffeinated beverages and soft drinks, free snacks, and free smiles to every digital nomad or visitor that walk through the doors. If you are looking for a coworking space that feels like home, this is one to frequent. The venue itself is tiny and tucked away on the quiet Nimmanhaemin Road. This vibe is best enjoyed with one of their organic or rainforest specialty coffees, which they roast weekly to make it as fresh as possible. They also have cookies, and who doesn’t love cookies? 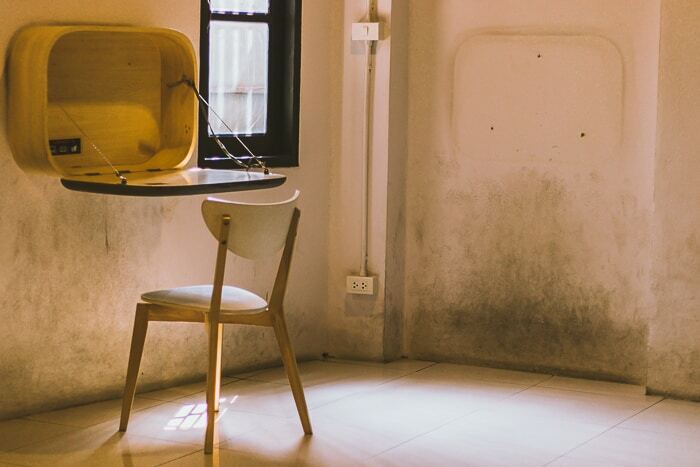 Visit, get some work done, indulge in some sweet treats, and make some new friends along the way all the while at Addicted to Work, one of the best coworking spaces in Chiang Mai. 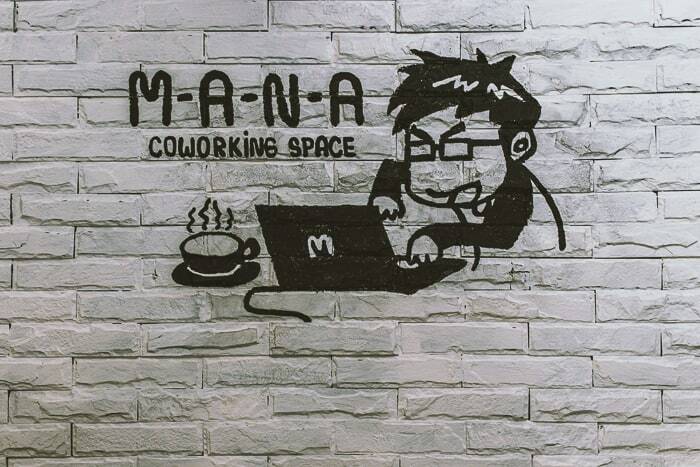 Hours: Monday to Saturday from 10 a.m. until 10 p.m. | Sunday from 10 a.m. until 8 p.m.
M-A-N-A is one of the coziest of coworking space in Chiang Mai on our list. It has all the fixing to be a great workspace but also oozes loads of charm because of the friendly staff and great service. Facilities include fast Wi-Fi, printing, fax service, a Skype room, and caffeinated beverages at the ready to help you make the most out of your time spent here. 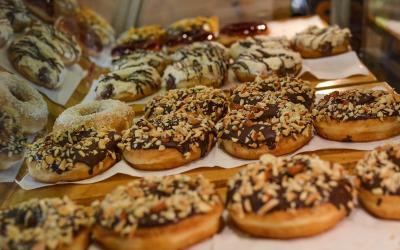 A coffee will only set you back a little over a dollar (฿40), and M-A-N-A also sells homemade cakes and pastries. The owners make sure that all of their guests are happy during their work time and provide visitors with free jasmine tea and water, which they bring right to your desk. It is incredibly bright, the office chairs are comfortable, and the owners are outwardly kind. 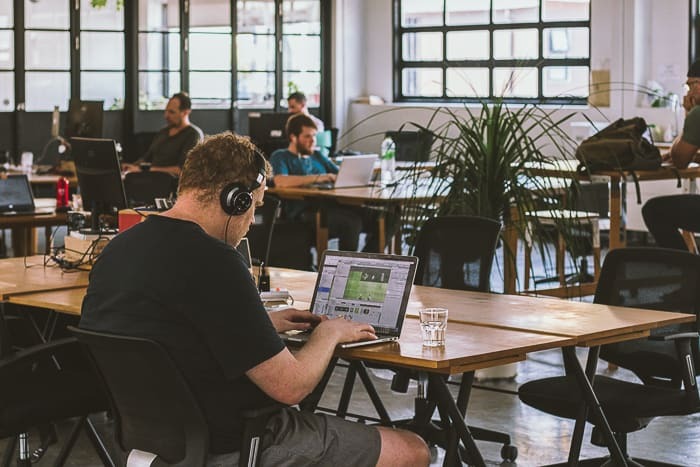 Because the space is small, it is best to come early and pull up a chair for the rest of the day, as it tends to fill up with your fellow digital nomads all looking to get stuff done. 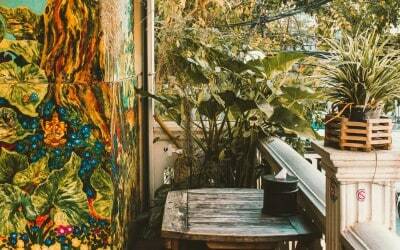 Mad Monkey Insider Tip: one of the best vegetarian restaurants in town is found right above M-A-N-A! 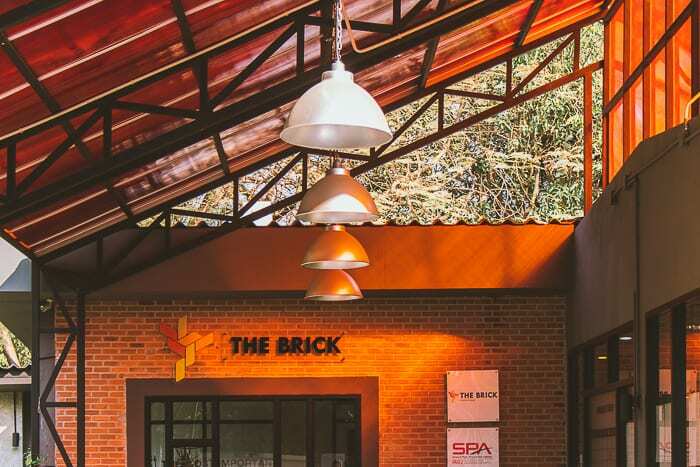 If you are looking for a good starting, shared space for your startup than look no further than The Brick Startup Space, one of the more sophisticated of coworking spaces in Chiang Mai. The modern coworking space offers guests a sleek looking design and ambiance with comfy chairs to boot. With plenty of tables and chairs to go around, you will surely have enough (startup) space to get your work done. The Brick has not one but three meeting rooms, each of which are equipped with projectors, large whiteboards, and LED screens. This startup space also holds community events each month, making it easier to network with other business professional and to make some friends, as well. Amenities include high-speed internet, a snack and pastry bar, free drinking water, a call room, parking, lockers, and more. Hours: Daily from 9 a.m. until 9 p.m. In the City 24/7 Living & Coworking Space is located in the heart of Old City (as its name suggests). 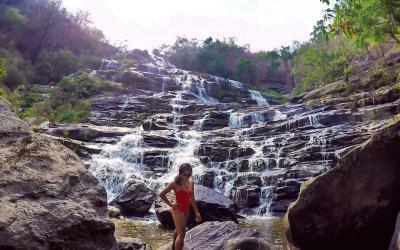 It is but a stone’s throw away from Chiang Mai’s north gate. This is one of the newest coworking spaces in Chiang Mai, and the team here is certainly doing the most to get the word out about their cool space. 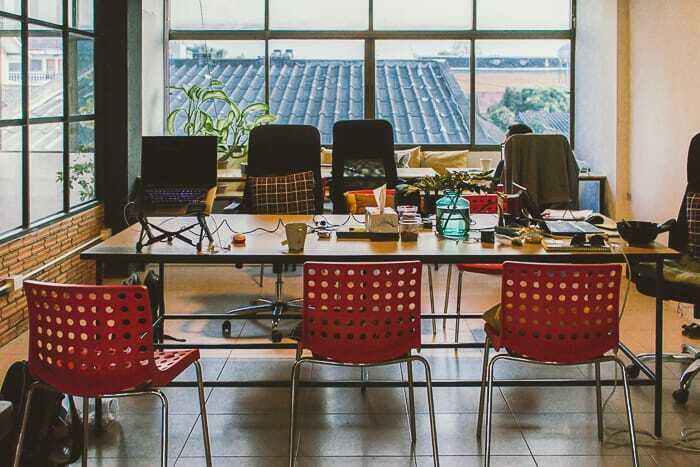 Some of the services that this coworking space provides include business visa arrangements, work permits, and even events and workshop hosting, as it is also equipped with a lovely rooftop terrace that is perfect for small get-togethers and parties. The space itself is equipped with large windows that look out over Old City, making it a great spot to work and people watch. 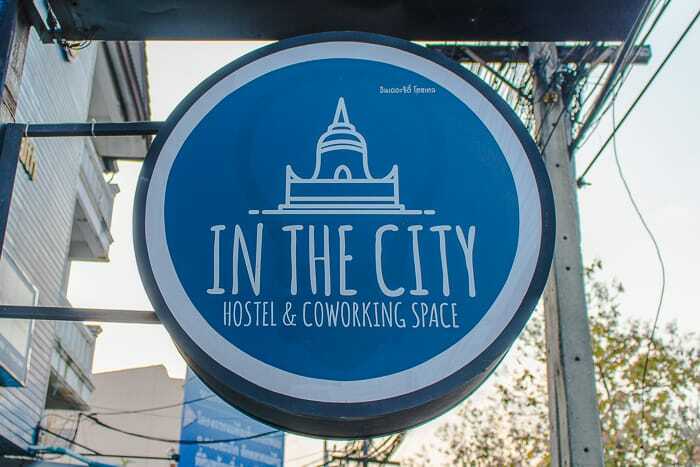 In addition to being a coworking space, In The City also doubles as a hostel, with dorm rooms starting at only ฿300 (which includes free breakfast). Guests are also allowed to use the coworking space for free, so it’s a win-win for everyone! 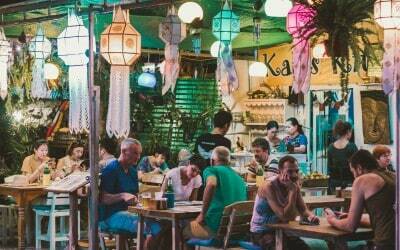 Did you love this article about coworking spaces in Chiang Mai? 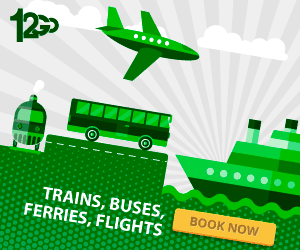 Do you want to know more about where to work remotely in the northern capital? 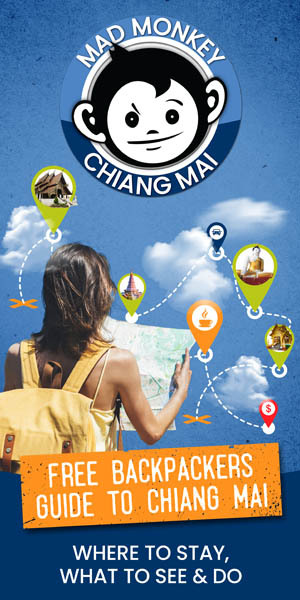 Then check out these other awesome articles about where to be a hard-working digital nomad in Chiang Mai. These coworking spaces in Chiang Mai will surely knock your socks off!